Mount Gay 1703 is a rum of rare complexity, assembling the best reserves of the distillery aged between 10 and 30 years. 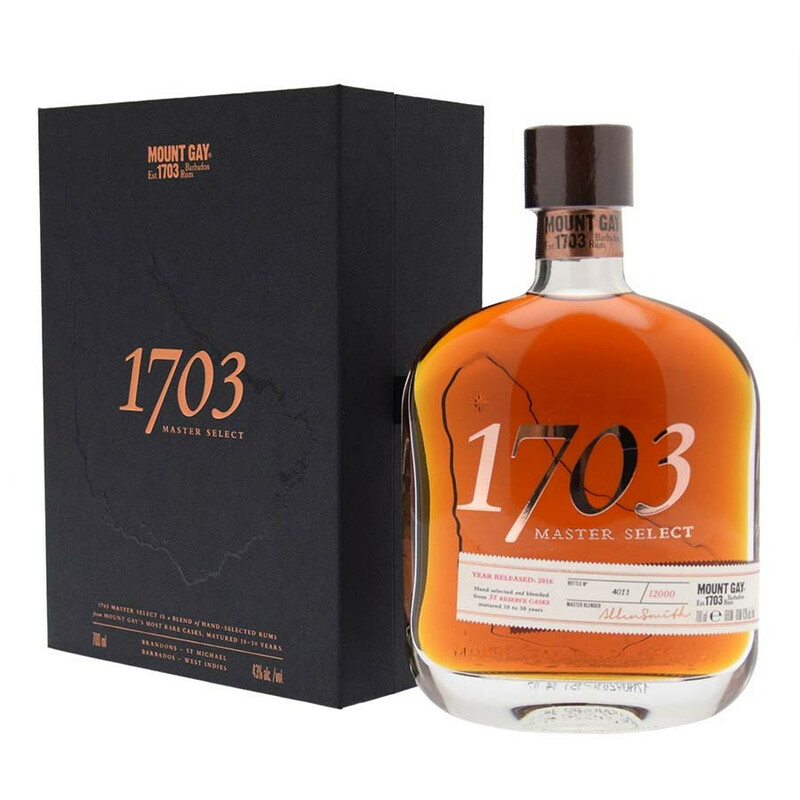 The Mount Gay rum is called 1703 in reference to the year of creation of the distillery on Barbados. It is a symbol of all the other Mount Gay rums with its golden colour and crystal water of the Barbados island. This rum is exclusively assembled from the best reserves of Mount Gay aged between 10 and 30 years. This 1703 version is an ode to Barbados and the art of aging. It is of a rare complexity with its creamy and floral notes of peony and lilac. From 1703 onwards, rum was distilled on Barbados, in the Caribbean. This new drink was named the “kill-devil”. Sir John Gay was a respected businessman who worked for a greater Barbados. One of his friends, John Sober, inherited a distillery and sought advice from John Gay. The latter became manager of the distillery, refining the distillation process and starting to produce rum of better quality than others on the island. Mount Gay Rum continued the 300 years of tradition and knowledge. Colour: old to golden reflects. Nose: wide with medecinal notes, woody and tangy. Then it becomes exotic, floral and smooth. Palate: complex with fruity and spicy notes, then it goes on dried fruits and salted butter caramel.